Here at Britclean, we have one of the largest collections of hot and cold industrial pressure washers in Cheshire. Throughout our four decades of experience, businesses all over the county and its surrounding areas have chosen Britclean for their pressure washers. The main reason is that our pressure washers are the most cost-effective method of cleaning on the market. Customers benefit from an unrivalled choice of machines, either to buy or to hire on a range of terms, and suitable for many pressure washing tasks. Britclean’s range of pressure washers can tackle the toughest cleaning projects Thanks to their extreme versatility and capabilities to work effectively in a number of environments. They can take on any cleaning task whether indoors or outdoors. 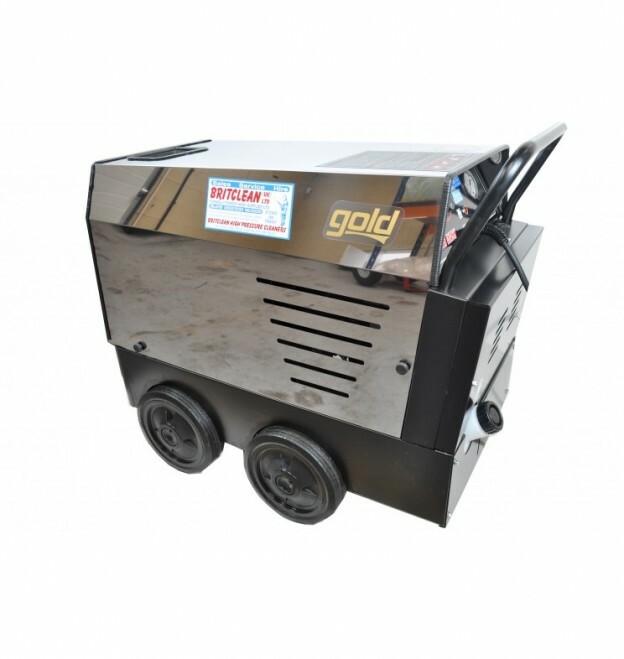 Our industrial pressure washers will make short work of clearing chewing gum from footpaths, removing tough or hazardous stains from roads and industrial sites. Creating a cleaner and most importantly safer environment to go about your day to day lives. Some of our world leading models, such as Karcher, use up to 70% less water compared to other models, yet still get the job done in less than half the time. To ensure you are getting reliable and high performing industrial pressure washers in Cheshire, all of our machines are serviced and maintained by our team of in-house engineers. Our team have the knowledge and experience to carry out a comprehensive service, to ensure our washers will save you time, money and effort as well as greatly maximising cleaning efficiency. We have pressure washing equipment to blast away dirt and debris and leave you with a fantastic finish. Our services extended to all areas of Midlands, including, Shropshire, Cheshire, Staffordshire and Derbyshire. If you would like to know more about our industrial pressure washers in Cheshire, do not hesitate to get in touch with one of our team today. This entry was posted in Britclean UK and tagged Industrial Pressure Washer Hire Cheshire, Industrial Pressure Washers on May 25, 2018 by admin.